Where are leading CIOs placing their bets in the coming year? Each year most of us look back at the same time as we project forward. In the act of projection, it is natural to want to compare within an industry or even across industries. For this reason, it came as no surprise when several CIOs asked for a #CIOChat focused on 2019 priorities. Here is a summary of what was learned about CIO goals and priorities for 2019. CIOs had many entities on their lists to meet with. For the most part, they said it is important to get out of the office and listen. One CIO said talk to the people on the loading dock, in sales, and at a trade show. In addition, CIOs said buy coffee for random folks up and down the ladder. In terms of meetings that CIOs should be in, here is a partial list. By this time of the year, CIOs believe IT leaders should have already been discussing and influencing 2019 investment decisions especially those that are about increasing value for customers. At the same time, CIOs should have been planning to move forward on continuous improvement of IT delivery at scale, velocity, and affordability. Part of this includes attending governance advisory committee meetings. CIOs suggest that while engaged in stakeholder activities, it is important that IT leaders share on ‘tech debt’, vendor market environmental scans, and functional and technology obsolescence. Where IT leaders lack relationships, CIOs suggest IT leaders use cybersecurity or digital transformation as the “bait” for a bigger discussion. The goal should be to find out what keeps business leaders and even board members up at night. CIOs suggest as well that in public companies, it makes sense to build relationships with the firm’s chief auditor and the risk folks. From here, you should get to know the board audit committee chair. They will listen regarding cybersecurity and help you get your ideas socialized. Saving big bucks on audits by improving controls is a worthy discussion for them. What type of transformation is most important to initiate in 2019? In addition to these, CIOs said that they need to spend time and effort reducing business friction and minimizing wasted time and resources. This includes investment in pervasive analytics including BI and AI. 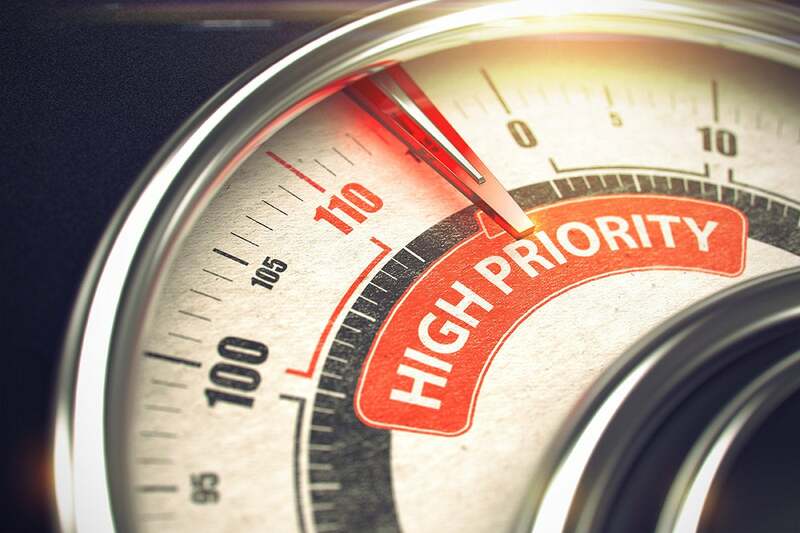 CIOs stress that in defining business transformation targets, IT leaders need to focus upon things which provide value to customers whether it is CX, digital business services, or other needles that must be moved. These must be defined, prioritized, and measured. Emphasis must be given to the velocity and quality of delivery expressed in terms including better, more effective, and more efficient. For universities, everything today boils down to customer service, user experience, inclusion, efficient operations, and innovation. Industry CIOs said that they are seeing customer experience as their number 1 goal and partner integration as their number 2 goal. CIOs say they want to reduce baggage to allow for faster turns as digital transformation takes hold. CIOs, as leaders, need to increasingly teach others how to respond to coming transformation. Culture, change management, and change leadership are critical to this journey. New staffing modalities can enable this too—in other words, bringing in more data and mobility folks and retraining/exiting developers and infrastructure as the organization moves to public cloud. CIOs need to enable a consumer-centric view of technology. In the #CIOChat, answers varied, but most fell into two categories: personal change and organizational change. CIOs say reducing technical debt needs increasing focus. It isn't wasting money. It’s about replacing brittle, monolithic systems with more secure, fluid, customizable systems. CIOs stress there is ROI in less maintenance labor, fewer incursions, and easier change. CIOs suggest, as well, the good news is that recent low code/no code products from SaaS/iPaaS vendors can harness shadow IT without adding crushing technical debt, data isolation or security burdens. This list was longer. Here are the common elements prioritized by response. Two CIO suggestions about these priorities were particularly interesting. First was that the top three priorities should be ‘people’ to paraphrase Doug Conant. This CIO said that people are the basis for strategic growth after data strategy. The second was it is time to file for technical bankruptcy. This CIO said without this you can’t disrupt existing operations and service delivery. It is time, they said, to push the reset button. This is clearly easiest done in the first 100 days as CIO, when the CIO is not perceived as part of the problem. CIOs believe personal transformation is difficult. They call this kind of improvement the human factor. They, nevertheless, believe people are the key to digital transformation and cyber risk mitigation. As for CIO transformation, CIOs say that they want to listen better and talk less in 2019. They need as a part of this to open themselves up to new ways of thinking. After all, CIOs say Gen Z is coming. CIOs, also, need to spend more time with the board and in getting on boards. And while they do this, CIOs need to take the time to learn new technologies including low code, RPA, and cyber security. Overall CIOs say IT leaders need to make more time for learning, networking, and collaboration events. And Joanna Young, former CIO at Michigan State University, wants as part of this to do more exercise, kale, and #CIOChats. Joanna added that she wants to stop wasting time with negative people and eating too much chocolate. I am finding the later hard especially during this holiday season. Finally, CIOs want to keep challenging themselves professionally to extend their reach in new areas include going to the point of discomfort and unknown. There was clearly a diversity of responses by CIOs, but with this said there was conformance about the importance of building teams. This includes putting resources first on people and then security and digital transformation in close alignment with business counterparts.